In the 1960s, a U.S. senator came to Taiwan and told Chiang Ching-kuo: if you are going to retake the mainland, you’d better hurry. His reasoning was that once a young person has been educated by the Communist Party for 10 years, he or she will remain a “stubborn Communist” for a lifetime. Even if Chiang’s government retook the mainland, it wouldn’t be able to win back people’s hearts. Upon hearing this, Chiang turned to his assistant and winked mischievously, because he himself had been “brainwashed” for 12 years under the Soviet Union, then the headquarters for communism. Throughout his life, Chiang Ching-kuo in fact had a strong Marxist slant and socialist ideology. He used to frequently mingle with the people to understand their hardships, which was rare among KMT officials in their starched military uniforms. Unlike the generation of his father, Chiang Kai-shek, Chiang Ching-kuo did not have a deep-seated hatred of the Communist Party; the early reforms he carried out in Taiwan were the same as the reforms overseen on the mainland by his old Moscow schoolmate, Deng Xiaoping. Because of this, Chiang is an unusual case for the KMT and often is the target for criticisms and attacks. When intelligence agencies discovered that his chosen successor, Lee Teng-hui, had previously been a member of the Communist Party organization, Chiang waved the matter aside. Chiang Ching-kuo is praised as the driving force behind Taiwan’s modernization. Even though he was a dictator, he made himself into the very last dictator in Taiwan. Of course, Chiang has his share of controversies. Some Democratic Progressive Party (DPP) members point to his repression of dissidents during his decades-long rule. In the 38 years between the KMT retreat to Taiwan and Chiang Ching-kuo’s death, about 4,500 people were killed. Given that some KMT members took part in the ceremony for the official founding of the People’s Republic of China, it’s not hard to understand why the KMT in Taiwan was so obsessed with hunting down “hidden” communists. This task, handled by Chiang Ching-kuo, led to indiscriminate killings and provided an excuse for the elimination of dissidents. After this wave of deadly “hunting,” Chiang Ching-kuo’s attitude toward dissidents changed. He stopped the bloodshed and opened up restrictions on the press and the party, permitting much debate. However, up until shortly before Chiang’s death, Taiwan still hadn’t stopped searching for and imprisoning democratic activists. There’s no harm in respecting Chiang Ching-kuo, but we can’t go overboard in beautifying history. Otherwise, we won’t be able to see the future clearly. In reviewing the history of Chiang Ching-kuo, what I most want to understand is this point: why, before his death, did Chiang relax his grip on power and honor the commitments he and his father had made half a century before regarding freedom of speech and democratic elections? Was this part of a “master plan” Chiang had from the beginning, or was it a last resort as Chiang faced pressure from all sides? If the former, what kept him from implementing his plan for several decades? If the latter, what forces drove Chiang, as he neared death, to transform himself from a dictator to one of the greatest democratic pioneers in history? More than a few of those who knew him remember that Chiang Ching-kuo frequently mentioned world trends, saying that democracy was a necessary path for Taiwan. But looking at Chiang’s writings, his essays on Western democracy are not as deep and thought-provoking as the writings by Mao Zedong during his revolutionary period. Moreover, Chiang’s actions after taking power in Taiwan, including concessions and compromises with dissidents and those outside the KMT, mostly originated from a desire to protect the party. It’s possible that, up until his death, Chiang didn’t believe that these forces could replace the KMT – much less believe in the Western idea of rotating ruling parties through elections. So when Chiang Ching-kuo admitted that the tide of democratization could not be stopped, he was mostly using democracy as a useful tool, a weapon that could be used against the Communist Party. More interestingly, deep down Chiang recognized the fact that dictators generally don’t come to good ends, but the one who leads his country toward democracy will be a hero. From this, we a get a strange phenomenon: Chiang was merciless toward those dissidents who called for removing restrictions on the press and the party, but in the end he himself moved to realize these dissidents’ dream. The most obvious example is Lei Chen, the editor of the Free China journal who was harshly punished by the government in the 1950s. Lei was sentenced to 10 years in prison, but if you look at Lei’s ideas from that time, you’ll find that almost all of them were eventually put into place, one by one, by Chiang Ching-kuo. This might be the “smartest” type of dictator: one who is a dictator for his whole life, enjoying wealth and unlimited power, but at the very end does an about-face and turns himself into a historic hero. There aren’t many figures like this in history, but the extremely intelligent Chiang Ching-kuo is one of them. Chiang’s thinking went like this: Taiwan can be a democracy, but you’re not going to democratize by overthrowing my authority. I’ll use my own methods, based on my own power, to finally realize democracy. Dictatorship or democracy, it all goes through me. This might be the source of the largest controversy over Chiang Ching-kuo. Many of his critics say that Taiwan should have been a democracy far earlier – it’s only because Chiang was defying history that the timeline moved from the 1950s with Lei Cheng (or even earlier, while the KMT ruled the mainland) to the 1990s. This brings up a second question we need to consider: when should a dictatorship or authoritarian country become a democracy? Chiang Ching-kuo’s supporters believe that the conditions for Taiwan to permit opposition parties and high-level elections didn’t exist in the 1950s, 60s, and even 70s. If Taiwan had abruptly implemented democracy, localist or even pro-independence forces could have taken power, which could have caused war and even led to the destruction of Taiwan. Some people also argue that Taiwan’s economy was not developed enough at the time. So by reforming the economy, especially by gradually perfecting the rule of law and expanding limited freedoms during his final decades in power, Chiang didn’t restrain the development of democracy in Taiwan, but controlled, guided, and nurtured a mature Taiwanese democracy. If you look closely at the history of the Chiang Ching-kuo era, the above idea isn’t without merit. Throughout Chiang’s time in power, every time he took a step forward on human rights, freedom, or democracy, he would be blocked by powerful KMT forces seeking to preserve the “Chiang dynasty.” Often, it was the lower-level KMT rightists trying to suppress the power of democracy, while Chiang used his substantial power to force them to change their tune. During this period, there were many situations that lead me to believe that, if Chiang hadn’t held on to the immense power established by his father, he wouldn’t have seen things through to the end. There’s a good possibility that he would have been overthrown by more conservative forces. Chiang Ching-kuo showed no mercy toward KMT members who opposed him, especially the most stubborn forces. He exiled them without regret. But when it came to democratic activists, including Peng Min-ming of the DPP, he was more patient, trying to convince them to join the system to work with him toward reform and democratization (thankfully, most of them refused). On this point, even Westerners agree that Taiwan, steeped in the essence of Confucianism, requires politicians (whether Chiang Ching-kuo or his opponents) to use a “middle path” and avoid going to extremes. Those in power who were extremely anti-democratic, as well as those among the opposition, who tried to use extreme measures to realize democracy, were all eliminated by Chiang Ching-kuo. What remained – the gentler forces of both dictatorship and democracy – in the end pushed forward the most peaceful democratic transformation in Asia. Of course, I believe Chiang Ching-kuo wouldn’t have voluntarily loosened his grip on power without democratic forces among the people and progressive forces within the KMT. Wave after wave of democrats in Taiwan urged and compelled Chiang to honor the promises made half a century before. Still, this cannot reduce Chiang’s historic achievement. What dictator has not faced strong democratic forces both within the party and from the people? Yet very few besides Chiang Ching-kuo have realized that using power is easy — what’s hard is realizing when not to use it. And very few dictators, while still holding tight to the power of the gun and the pen alike, have faced the powerless masses on the streets and decided that arresting people won’t solve the problem. Although there are few references describing Chiang Ching-kuo’s inner world, for over a decade he faced this conundrum: he wanted to walk toward freedom and openness, realize the rule of law, and gradually move toward a Taiwanese model of democracy. But as soon as he let go of a little power, the liberal camp and the localists grew louder – and their barbs were all aimed at him. After Chiang Ching-kuo led the way in loosening restrictions on the media, dozens of newspapers sprung up suddenly, and almost everyone was criticizing and attacking Chiang, even though he was the first leader in China’s 5,000 year history to completely permit an open media. This is the dilemma for a dictator who is trying to reform! One misstep and you might lose office, become another Gorbachev, or even become a disgraced failure. Under these circumstances, many dictators would rather keep a tight grip on power until the bitter end, or even regress and try to imitate the most successful dictators. 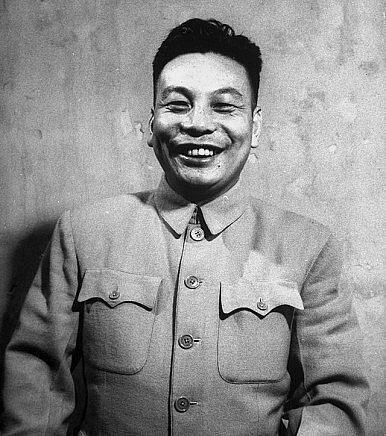 But Chiang Ching-kuo chose a different path, even if he made the most critical, most important choices not long before his death. That is the importance of Chiang Ching-kuo. Of course, it’s understandable for Chiang Ching-kuo’s importance in Taiwan to grow smaller and smaller. After all, Taiwan had a whole generation of ordinary people who sacrificed their blood and tears for democracy. But for mainland China and even the whole world, Chiang Ching-kuo’s importance cannot be neglected. We often see oppressed masses fighting and even sacrificing their lives for democracy and freedom, but dictators who ultimately stand up for democracy and push forward a peaceful transformation are a rare sight. Taiwan had one – his name was Chiang Ching-kuo! Taiwan's transition to a democracy has lessons for mainland China. Facing Chinese Pressure, Taiwan’s President Tsai Seeks ‘Survival Niche’China's Democracy ChallengeThe Doolittle Raiders and Chinese Revisionist HistoryFoxconn CEO Terry Gou Says a Sea Goddess Has Told Him to Run for PresidentWill Xi Jinping Visit North Korea This Year?